The Pathology Learning Centre holds an extraordinary collection of pathology specimens that have been accumulated over more than 80 years. The specimens can be viewed virtually via the website. We provide a virtual microscopy service to all departments of UCT as well as to other institutions. We are located in the Pathology Learning Centre on the Health Sciences Campus. We’d like to suggest you adopt one that has personal or professional significance. A 5 year adoption costs R250 :: a lifetime adoption costs R1000. Sponsor the restoration and maintenance of a member of this valuable collection. The Department of Pathology at the University of Cape Town is a large academic department comprising eight divisions: Anatomical Pathology, Chemical Pathology, Haematology, Human Genetics, Immunology, Forensic Medicine, Medical Microbiology and Medical Virology. The Department hosts the Pathology Learning Centre which holds an extraordinary collection of teaching specimens that have been accumulated over more than 80 years. The Department provides a comprehensive Pathology service to the Western Cape and South Africa, and undertakes basic & applied scientific research aimed at understanding mechanisms, diagnosis, prevention and treatment of diseases. It contributes to training of undergraduate medical students, and has a large post-graduate teaching and training programme. 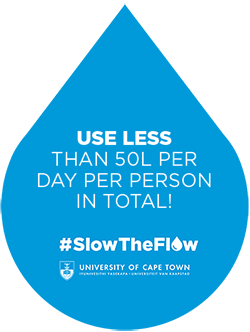 The Department is located in the Falmouth Building at the Faculty of Health Sciences, with service facilities located in Groote Schuur Hospital, Red Cross War Memorial Children’s Hospital and Salt River Mortuary. The Department is supported by the National Health Laboratory Services and Western Cape Government. It has over 80 academic members of staff, and has approximately 200 registered post-graduate students registered for the following degrees: PhD, MMed, MSc, MPhil (Forensic Medicine), MSc (Med) (by dissertation) and BSc(Hons).